Juventus midfielder Miralem Pjanic has signed a contract extension with the club which will keep him in Turin for another five years. Pjanic joined the Old Lady in 2016 from Serie A rival’s AS Roma and he has since gone on to make 90 appearances for the Italian giants. The Bosnian midfielder has been an integral part of the club’s most recent success and has also thrived at international level with his country, winning 79 caps over the last 10 years. The 28-year-old is generally deployed in a holding role for Juventus by manager Massimiliano Allegri and his playing style has been likened to one of the all-time great Italian midfielders Andrea Pirlo, who also played for the club. Pjanic dictates the pace of games from his deep-lying midfield role and possesses radar-like vision combined with laser-like accuracy, which makes him a vital component of Allegri’s starting XI. He also deadly from set pieces, having scored 15 goals in total from dead ball situations during his 7-year stay in Italy. According to Sky Sports, the former Roma playmaker has today signed a contract extension to remain at the Allianz Stadium until 2023, which will see him featuring for the club well into his thirties. 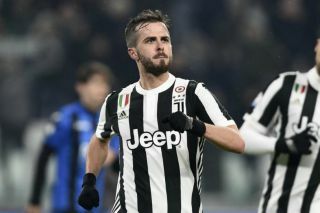 This news will bring joy to Juventus supporters across Turin who have revelled in the technical brilliance of Pjanic for two years now and can look forward to many more great performances in the future.